I have been teaching at a couple of events recently – and I want to share a few of the classes over the next couple of weeks. I taught this first class at the Scrapfest by the Sea event in Nelson last weekend. I was tutoring with Trina McLune and Karola Witczak and we had an amazing time. If you are in New Zealand and would like to learn more about the event or just be part of a great group of ladies – join our Facebook Page here. This fun class was enjoyed by all the ladies who attended. For many, it was their first time trying an off-the-page project and I really focused on breaking down the process into manageable steps. The silver butterfly can be found in the PaperVine store here. Creating the decorations on top was one of the best parts of the class! 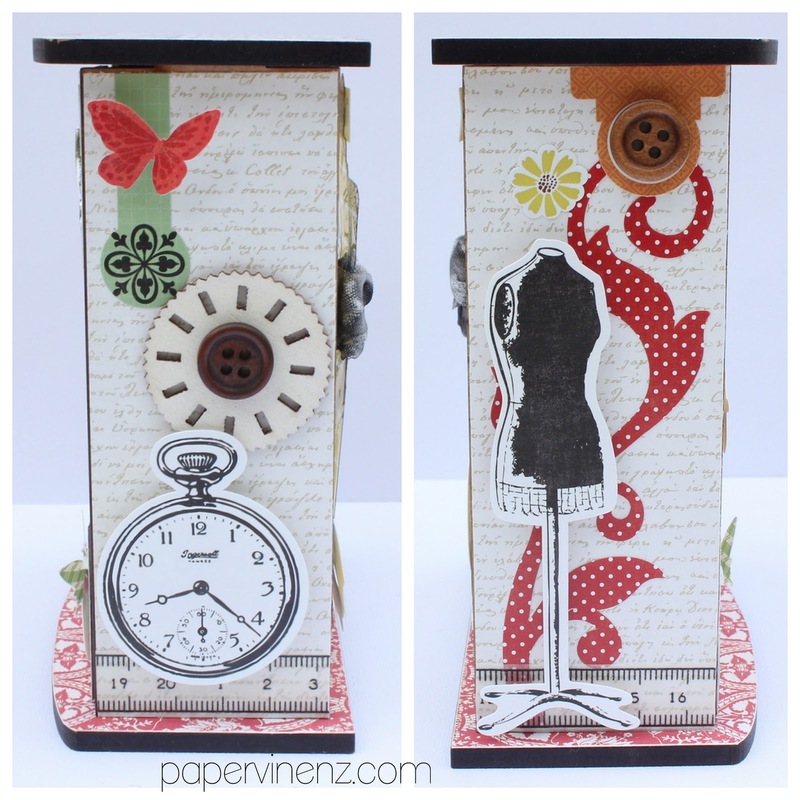 We stamped the large spool with some Prima Stamps to give it an authentic vintage look. The papers and stickers are from the For the Record “Tailored” Collection from Echo Park Paper. You can see detailed pictures of the sides below. I kept the decoration simple as for a 2.5 hour class – I want people to be able to complete the majority of the project. 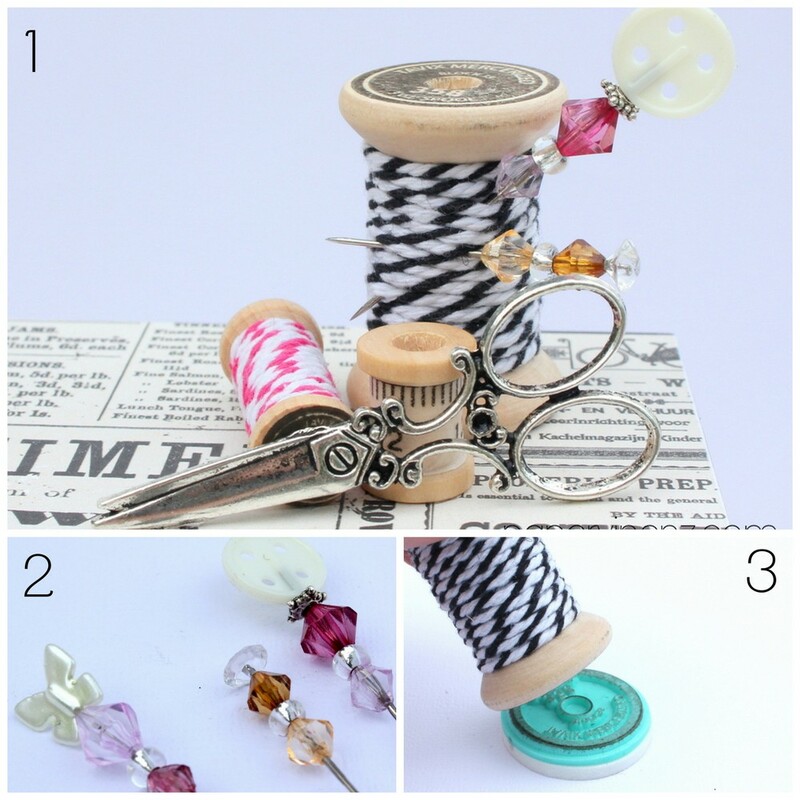 Stay tuned for more ideas from the classes coming soon! Like all your projects this looks awesome!